Participating in a CSA is an excellent way of becoming part of a community that shares your concern about healthy eating. It is a way of knowing where your food comes from and enjoying a healthier, more connected lifestyle. Working closely with our natural resources aligns with our values, and we are really excited about the potential for sustainability. Naturally, the best part of growing beautiful, fresh, organic fruits and vegetables is being able to share it with others, and that’s where our CSA shares come in. 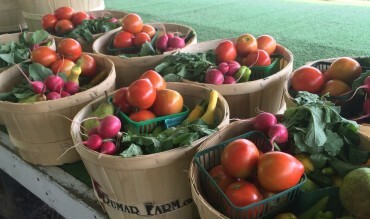 Our CSA program is ramping up for our 5th year. We've completed our seed order for the new season, and we can't wait to get started! We have achieved organic certification through Ecocert Canada, a respected organization dedicated to strict adherence to The Canadian Organic Standard. Biodynamic farming is a form of alternative agriculture that treats soil fertility, plant growth and livestock care as ecologically interrelated tasks. If you are concerned about the sustainability of small farms, and are enthused about narrowing the gap between your food and the farmer who grows it, our CSA program may be for you. 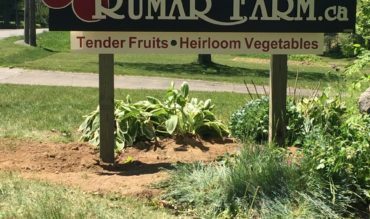 Visit our web page rumarfarm.ca/CSA for the program details and costs. There are only a limited number of shares available, so a quick response may avoid disappointment.